The fire at the Lee High Inn spread from the room where the woman was found to other parts of the motel. 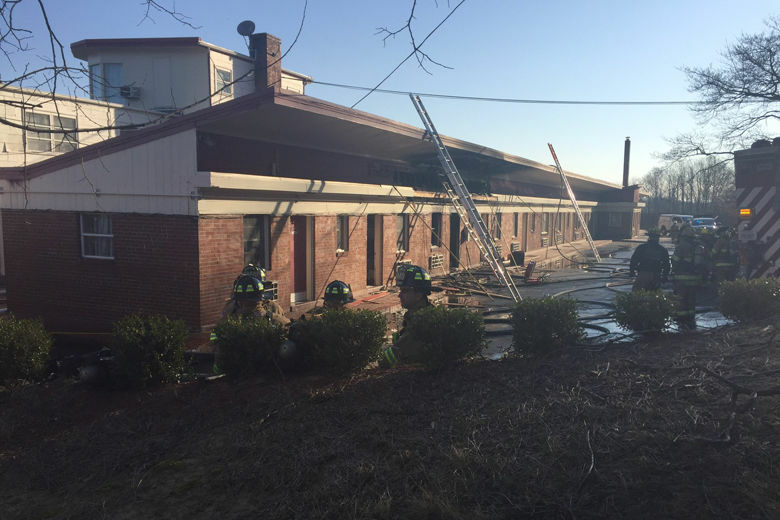 WASHINGTON — A woman is dead after a fire at the Lee High Inn motel in Fairfax, Virginia Thursday morning. City of Fairfax Fire Chief John O’Neal tells WTOP a middle-aged woman was found in the room where the fire started. The fire then spread. It happened around 7:30 a.m. at the Lee High Inn on Fairfax Boulevard. Hotel management called the fire department around 7:22 a.m. after heavy smoke was seen coming from the back of the some of the rooms. O’Neal said fire crews quickly put the fire out, and when they did, they found the woman in the room.